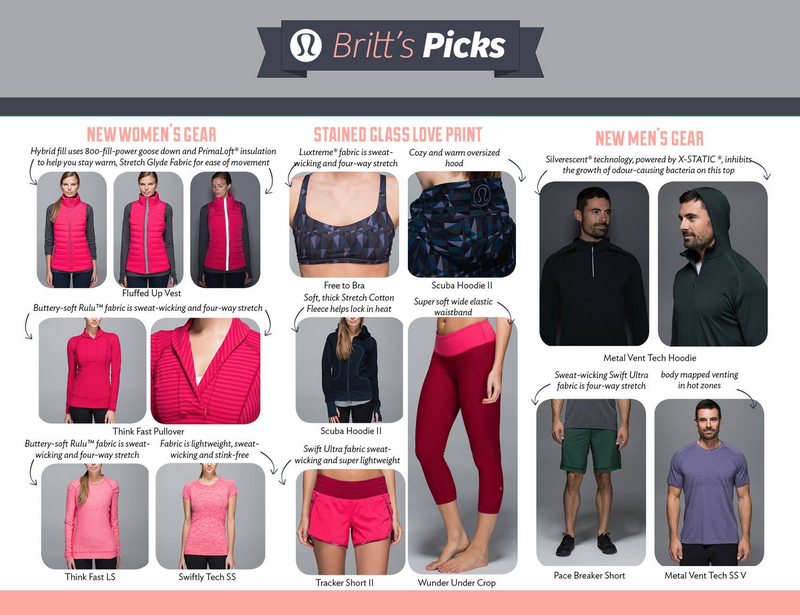 Britt’s Picks are up for the coming week. Check out the new print ‘Stained Glass Love’. I’m not a huge fan of the print but I do like the colors in the print. "Lululemon Limited Edition Items for New York City Marathon"
"Lululemon: Winter 2014/2015 Sneak Peek"